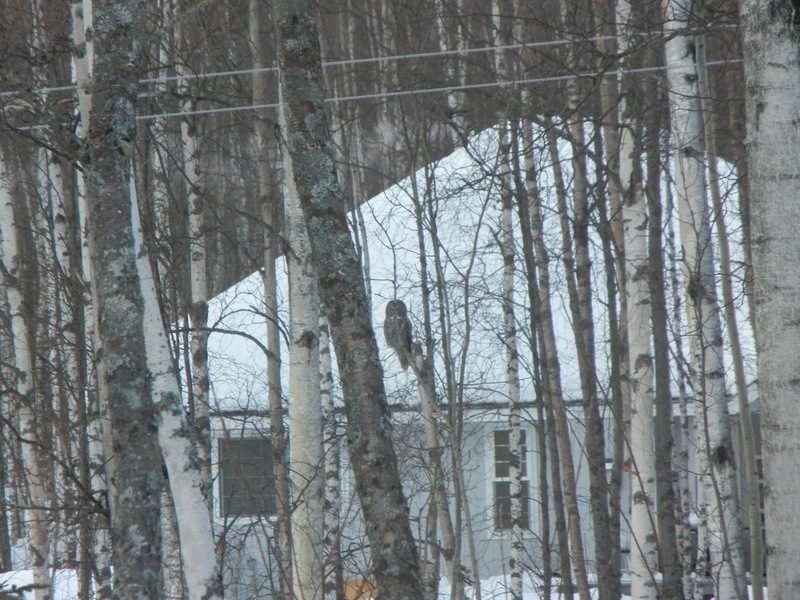 A couple of weeks ago, we had a great grey owl hanging around our house. The first time we spotted him, he was in our backyard, sitting in a tree by our treehouse. He was really close! 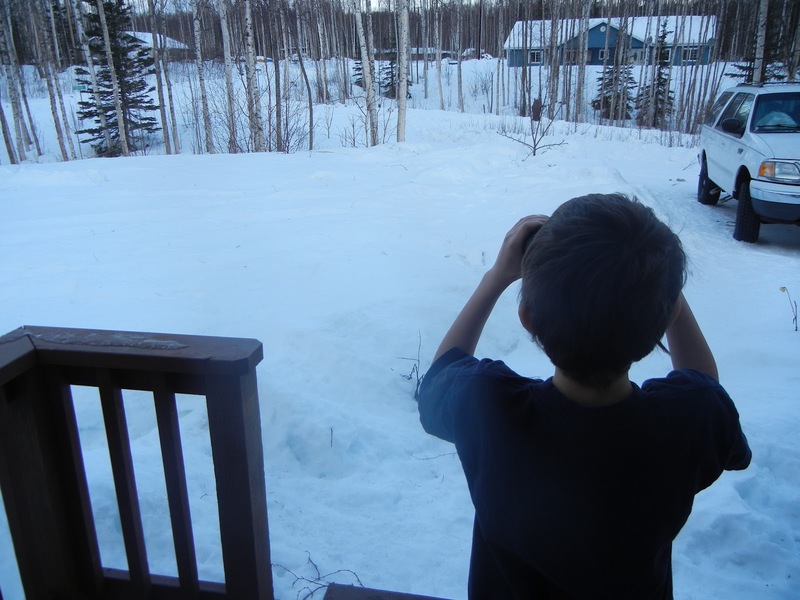 Then about two days later, we were sitting around the table starting morning school and Drew spotted him out our dining room window. Above is the picture he took. Our camera is not behaving lately, and has been taking some crummy pictures, but he got a relatively clear one of the owl! So for the next 30 minutes or so, the kids tracked him until he flew out of sight... it was a heartwarming morning, nothing we could have planned. 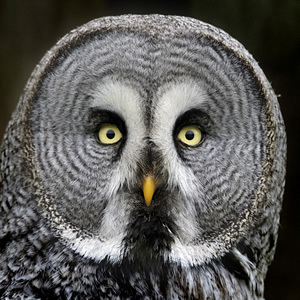 It led us into a time of watching YouTube videos of owls, and searching to find out exactly what kind of owl he was. Drew ran downstairs and grabbed his decoy owl and set him in our yard, and he finally "landed" in one of our apple trees for the week. The kids were hoping to lure the real owl back to our yard by placing one of his "kind" in the area. It was so cute. 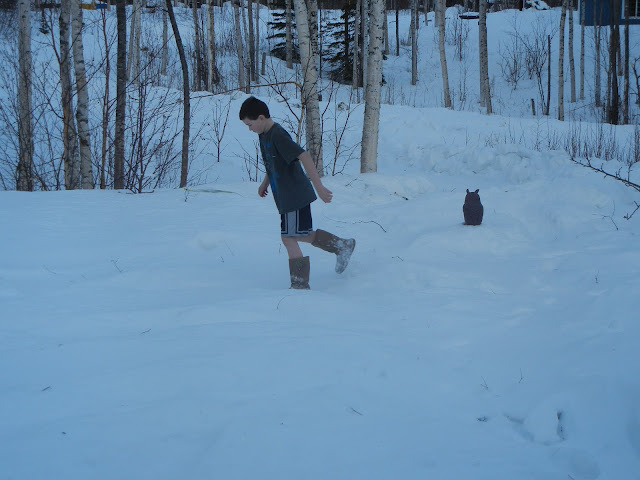 When I saw Drew walking outside in my boots and shorts and a t-shirt, I was thinking he looked an awful lot like Christopher Robin tromping through the Hundred Acre Woods. All he needed was a rain slicker and an umbrella! But he never came back... but each time I saw our "owl" in the apple tree it reminded me of the wonderful morning we tracked the great grey one. 2 comments on "our very own Hundred Acre Wood"
Your yard does look like the 100 acre woods. I sure hope the owl that you saw comes back soon. Yes, Drew does look a lot like Christopher Robin in his shorts, t-shirt and boots. I couldn't help thinking that Drew looked a little chilly, but maybe with the excitement of luring the owl back, he probably wasn't. Great pictures of the owl and him. Thanks for sharing. Get some rest. That's so fun Amanda! 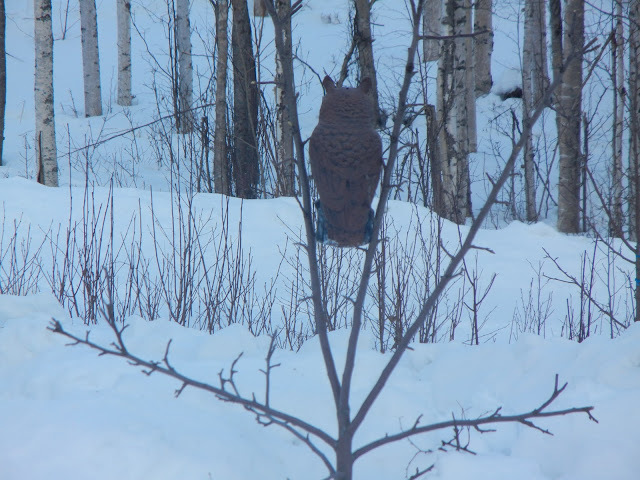 We've had a pair of nesting owls in our yard at the property. They had a beautiful nest in a big tree, but they're so skittish it's hard to sneak up on them!